Langston Kerman is a LA based stand-up comic, actor and writer originally from Oak Park, IL. 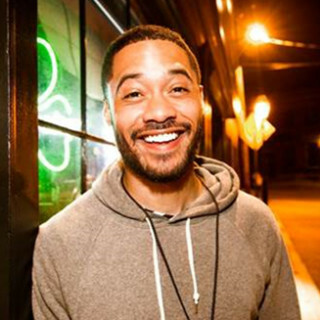 Langston’s first half hour special just aired in September 2018 as part of Comedy Central Stand-Up Presents. This past month, Langston wrote and starred in a Broadway Video produced presentation for Hulu, BUST DOWN, which also featured Chris Redd, Sam Jay, and Jak Knight. Additionally Langston released his first comedy album “Lightskinned Feelings” which was recorded at the historic Punchline Comedy Club in San Francisco. In TV Langston recurs as ‘Jared’ on the HBO hit series “Insecure” from Issa Rae and Larry Wilmore. He appeared on the third season of “Adam DeVine’s House Party” (Comedy Central) and his other on credits include “High Maintenance” (HBO), “Strangers” (Facebook) and “Comedy Bang! Bang!” (IFC). Langston was a part of Chris Rock’s writing staff for the 2016 Oscars and also wrote for Comedy Central’s show “Problematic With Moshe Kasher”. Langston is also a co-producer and recurs on the Comedy Central narrative series, South Side Stories, created by Diallo Riddle and Bashir Salahuddin set to premiere in the spring. He has also written for and appeared in digital content from Comedy Central, Above Average, Refinery 29 and IFC. In 2015 Kerman was honored as a ‘New Face’ at the Just For Laughs Festival in Montreal, and chosen as a finalist for the NBC Diversity Standup showcase at the Hollywood Improv. He has toured all over the country including dates at The Bridgetown Festival in Portland, The Red Clay Comedy Festival, The Meltdown with Jonah and Kumail, the RIOT LA Comedy Festival on the comics to watch lineup and as a co-headliner at the New York Comedy Festival. In September 2016 Kerman co-headlined a month long tour with Jak Knight including a week of dates at the Just For Laughs Festival in Toronto. He can currently be seen on the road opening for Daniel Tosh. Kerman graduated from the University of Michigan and has an MFA in Poetry from Boston University.